Top 1 Paid App, Overall Games, RPG and Simulation in France & Singapore App Store! Top 1 RPG in 89 countries! Top 1 New Paid in UK, Australia and Canada! Top 2 RPG, Top 3 New Paid in United States! Touch Arcade forums' Game of the Week! ----------------------------------------- Dear prisoners, this is Warden speaking. Welcome to the Prison, where you are SENTENCED to play! Can you survive the harsh prison life? Can you escape before your execution? 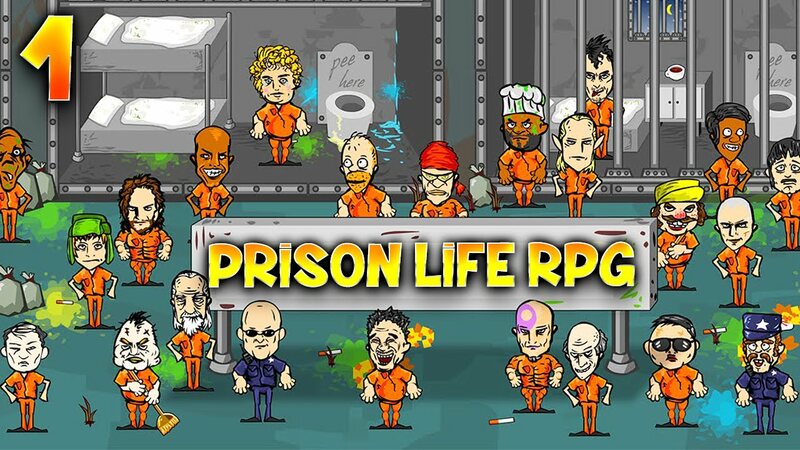 Prison Life RPG is a premium game with no ads or in-app purchases. Hurray! Prison Life RPG is a Roguelike+Survival+Simulation+Role-Playing game that places you behind bars. To survive the punishment of the penitentiary system, you’ll need to stay healthy and fit, gain allies, eliminate enemies, bribe the guards, bet in illegal boxing matches, and more while pushing for parole or planning an escape. With more than 100 prisoners to interact with, you'll never feel bored! You can play as any one of the 100 prisoners! Watch TV, call your grandma, learn skills, craft items, get bullied, wash toilet, flirt with the pretty Doctor in Sick Bay, bribe the guards or just idle around! Make friends and join gangs to increase your defense, fighting, and, of course, escape power. Be careful though, prisoners your offended will beat you up or even kill you! There are many ways to break out of prison. You just need to collect the proper tools and talent to pull off the perfect plan! Behave and get released? Arrange early parole with lawyer? Suicide? Break out from prison with an escape team? Become the Gang leader? Executed? The choice is yours, prisoner. Took more than a year to construct, the warden guarantees that this prison is deep, challenging and will lock you up for hours!